Back in 1998, I argued here in The Road Warrior that Apple's then-new G3 Series PowerBooks had essentially removed the necessity owning a desktop computer for a majority of Mac-users. With more speed than any but the very fastest desktop models - Mac or PC - and an inventory of features that would have been considered the pinnacle of high-end only a couple of years ago, a PowerBook could finally be "the computer to have when you're only having one" with no excuses necessary. That contention has certainly proved true in practice for me, and I have been using WallStreet PowerBooks as my main workhorse computer since shortly after I posted that column. I can't recall a single instance where I have wished that the WallStreet was a desktop machine. PowerBooks, at least for me, are truly "the logical Mac." So how does the argument stand up in 2001, with the introduction of the new titanium PowerBook G4? Pretty well, I think, and I'm not the only one. 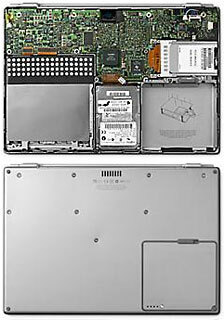 John Siracusa of Ars Technica noted last week that "One of the stated goals of the PowerBook G4 project was to create an 'unreasonably thin' portable computer while retaining all the functionality of a full 'desktop replacement' laptop . . . It's faster and more capable than my desktop computer. It weighs about as much as my keyboard. I want one." Me too. AnchorDesk's David Coursey says that "Apple's new titanium-clad PowerBook is undoubtedly the coolest thing to happen to portable computers in a while." However, not everyone is as blown away by the TiBook as David Coursey, John Siracusa, and I are. Some have noted, correctly, that in practical use relatively few people will notice much of a performance boost from the 400 MHz and 500 MHz G4 chips in the titanium machine compared with the 400 MHz and 500 MHz G3 chips in Pismo. 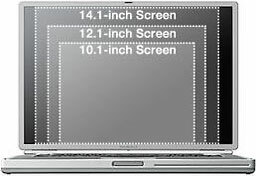 Others have complained that while the Ti's new 15.2-inch display looks spectacularly larger, it in fact offers no significant increase in resolution compared with the 14.1-inch unit on Pismo, Lombard, and many WallStreets, and VRAM remains at the relatively puny 8 MB PowerBooks have had since the introduction of Lombard in 1999. Then there are the matters of one fewer FireWire port than Pismo has, no expansion bay, and the fact that, at least for now, Ti does not support large capacity RAM modules that normal people can afford. These criticisms are all true, and in the short-term people who prefer Pismo to Ti are in excellent shape, because they can buy a leftover Pismo at fire sale prices and end up owning a very fine PowerBook for little or no price premium over an iBook. If you are so inclined, go for it! For me however, nothing but a Ti will do for my next machine. 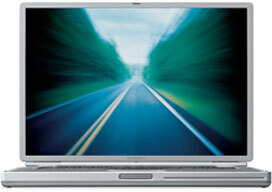 I'm happy with my WallStreet for the immediate future, but my next PowerBook will be titanium, if all goes as I hope. So let's take a closer look at the technical aspects of Ti. Ti's display, while it looks humongous, as noted actually does not up the resolution ante all that much from the 14.1-inch displays that have been available on PowerBooks for more than two-and-a-half years. The new 15.2" unit's native resolution is a respectable (but modest) 1152 x 768, as compared with the erstwhile 14.1 incher's 1024 x 768. This is no hardship from my perspective, and indeed I prefer moderate resolutions to gazillions of teeny-weeny pixels, but then again, I am not a graphic artist. For text-crunching, which is the bulk of what I do with computers, the 800 x 600 resolution of my WallStreet's 12.1" screen suits me fine. I could just use more real estate, and the Ti's display strikes me as a fine compromise. Ti's display will also support 1024 x 768, 800 x 600 and 640 x 480 resolutions, as well as 1600 x 1200 on an external monitor. However, Apple's current ADC displays are not supported by Ti, which still has a VGA port because the PowerBook is unable to supply power to the monitor through ADC. That's fine with me. I prefer to have the potential of VGA's vastly wider selection of monitor choices than the proprietary ADC. Some have indeed complained about the demise of the PowerBook expansion bay in Ti. However, in order to get the thing down to one inch thickness and 5.3 pounds, something had to go, and I have to concede that I have never actually used the expansion bay in my WallStreet for anything other than the standard CD-ROM drive. On the other hand, my daughter now has both an expansion bay hard drive, an expansion bay Zip drive for my old PowerBook 5300 - VST units in both cases - and the expansion bay concept is very cool in practically use. Nevertheless, I can live without it. The standard, slot loading DVD-ROM drive in the Ti will probably suffice for my needs. A CD-RW drive would have been nice, but realistically, Apple has held Ti to a price point just one hundred dollars higher than the entry-level Pismo . Happily, there is still a PC Card slot in Ti, so that expansion avenue is still open. Compared with Pismo, Ti has also dropped from two to one FireWire ports. There was not room for more than a cumulative three USB and FireWire ports, and Apple reasoned that most FireWire devices have provision for daisy-chaining, so the second FireWire port got the bum's rush. Without having opened one up yet, I infer that ease of getting inside Ti for upgrading and service has been somewhat enhanced from Pismo, which represented a retrogression in this department from WallStreet and Lombard. Ti's metal case has facilitated a removable bottom panel, fastened with 7 screws. Instructions for its removal can be found in the battery bay. The only officially user-serviceable part in there is the hard drive, however. RAM upgrades are still implemented by removing the keyboard, which one wants to handle like eggs when it is unsupported, I hear. Ti comes with 128 MB of standard SDRAM on the low-end model, and 256 megabytes on the high-end machine. 128 MB is no more than minimally adequate these days, especially with OS X coming. I thought that 192 megabytes of RAM in my WallStreet would be luxuriously ample, but I still have to revert to Virtual Memory or RAM Doubler to avoid running out of RAM with my usual suite of applications open. Ti uses the same PC 100 RAM that was incorporated into Pismo, but it supports only up to 1.5" low-profile DIMMs and ships with a 1.25" DIMM installed. Another disappointment that has been expressed about Ti is its modest video support - essentially the same ATI Rage Mobility 128 video accelerator with 8 MB of VRAM that was used in Pismo. That seems plenty to me, compared with my WallStreet's pedestrian 2 MB of VRAM, but I guess it seems picayune to the high-end graphics and hard-core gaming folks. Again, that price point had to be reached somehow. The low-end machine's 10 gigabyte hard drive seems stingy by current standards though, and I find it alarming how quickly I am filling up the new 10.2 gigabyte unit in my WallStreet. I think that Apple should have made at least a 12 gigabyte HD standard, which would have been a minuscule cost difference. Ti offers the same 10, 20, or 30 GB, 4200 RPM hard drive options as Pismo and supports drives up to 12.7 mm in thickness. Ti's slot-loading DVD-ROM drive also functions as a 24x CD-ROM or 6x DVD-ROM, and is capable of reading both DVD-RAM and DVD-R. The computer has two USB ports, and an IrDA infrared link capable of transferring data at up to 4 Mbits per second. An AirPort Card wireless LAN module is available as a configure-to-order option or as a user-installable upgrade. The lack of a quick change battery bay is being panned by some. While the nominal five-hour battery life in Ti is reportedly a lot less optimistic than it was with Lombard and Pismo, it's still too short for some users. It is not impossible to carry two or more batteries for Ti, just slightly more of a hassle to change them. Ti's internal bus speed remains at 100 MHz, as opposed to 133 MHz in the new desktop G4 Power Macs. It is likely that there will the a 133 MHz bus PowerBook in the future, perhaps in the Revision B Ti, but remember that the iBook is still struggling along with a 66 MHz system bus. Ti has a new pipelined system bus that is more efficient than the system bus on the PowerPC G3 microprocessors. The new bus design, called MaxBus, allows for much greater efficiency of bus utilization than was possible with the previous design. Ti uses the Motorola MPC7410 ("Nitro") G4 microprocessor, running at 400 and 500 MHz, and "detuned" for lower power consumption. The MPC7410 supports up to 2 MB of external L2 cache, and is offered in 400 MHz, 450 MHz, and 500 MHz clock speeds, with a 550 MHz version promised soon. That would facilitate a speed bump to 450 MHz and 550 MHz for the second generation TiBooks. Ti's PowerStep feature allows the user or an application to change the processor's clock speed, either slowing down to conserve power or speeding up when more speed is needed. The system software includes a new Energy Services Library that provides the API that allows applications to change the speed setting. The user interface for this feature is a check box labeled Reduce Processor Speed in the Advanced Settings panel of the Energy Saver control panel. On the PowerBook G4, the slower clock speed is 100 MHz slower than the rated speed: 300 MHz on a 400-MHz model, 400 MHz on a 500 MHz model. Here's an omission I will growl about. Ti has no analog (PlainTalk) audio-in port and depends on digital audio input via the USB or FireWire ports, meaning a much narrower choice of potential microphone choices - and the necessity of purchasing a new mic for folks like me who lean heavily on dictation software. There is a built-in microphone as well, but it's not adequate for dictation. There are built-in stereo speakers. Back in the plus column, Ti has an autosensing 10/100 Base-T, PHY interface IC/Auto-MDIX ethernet port that will switch from straight to crossover when it is plugged into another Mac likewise equipped. To connect with older Macs, a crossover cable will still be required. Ti has a single battery bay. The battery uses lithium ion cells and provides 50 Watt-hours at 16.6 V (full charge). Ti's 45W power supply is not interchangable with the G3 Series 'Books, drawing 28 watts instead of 24 and having a smaller connector where it plugs into the PowerBook. Unfortunately, the yo-yo-shaped power adapter design continues. The screen hinge clutches that have been a problem area on the G3 Series 'Books have reportedly been successfully tested through 15,000 cycles to simulate a lifetime of use. And, on a more trivial note, the Apple logo on Ti's lid of in now right side up when the lid is open, and it still lights up. One of the most significant beefs I have is not with Ti itself, but rather Apple's insistence that all US PowerBook service and repair be done at their central facility in Texas, rather than allowing local dealers to at least handle the small jobs (although happily, this does not apply in Canada where I live, and where Apple Canada authorizes its Apple Specialist Dealers to fix both PowerBooks and Cubes both warranty and post-warranty service, and to repair anything on a PowerBook that for which Apple has parts). I have held forth on this issue before, and will again in the future, but for now I will just say that this policy continues to be bone-headed stupid (see this week's Road Warrior MailBag), and, in the case of out-of-warranty problems, Apple's charges, especially for smaller jobs, represent an egregious rip off of consumers. This issue is another reason why I am inclined to wait for the bugs to be worked out of Ti before taking the plunge. While I'm at it, Apple's one-year warranty is pathetic compared with, say, Dell's three-year, on-site, warranty policy. That said, I look forward to getting a TiBook, which I really do think is the coolest piece of hardware Apple has ever built.